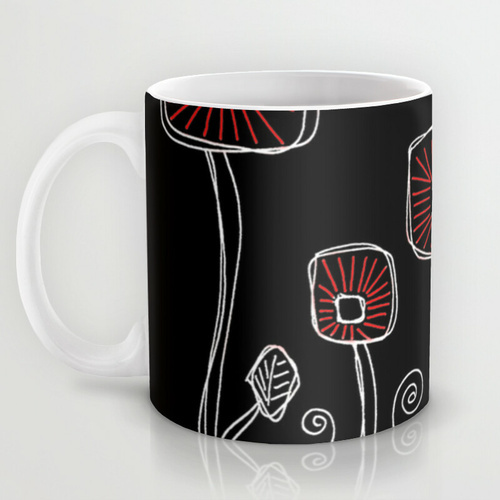 I love to see my drawings on mugs like this! It makes them look so professional. 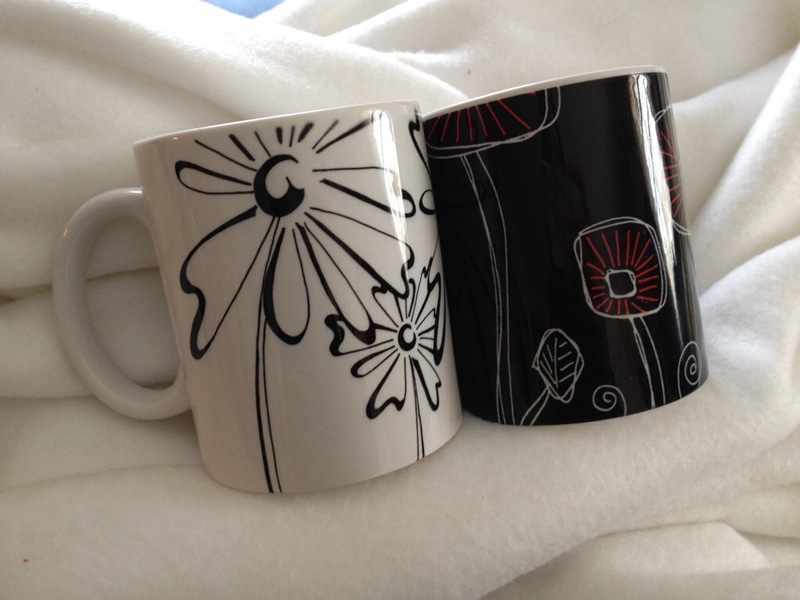 So when a friend asked me to donate to her silent auction to benefit a charity, I knew these mugs were it. I hope she likes them! I’m not even sure I ever posted this design when I created it but it’s been one of my favorites for its simplicity. Others have given it the descriptive term “Swedish Art” which for whatever reason makes me happy. I think it’s more that it’s considered to be art than that it has a Swedish flare. As I’ve mentioned before, I often flip flop between very intricate doodle designs and then super simple ones. And I’m always surprised by how quickly these simple ones just pop out of me and onto the paper. You’d think I would always keep my doodle art simple. So I took that design and played with it a bit. I have to give credit to my friend, Patty, for suggesting the bit of red in this design. I’m so happy with the result, especially against the black background. Check out all the gift items this design comes on. They look so pretty! Fun! 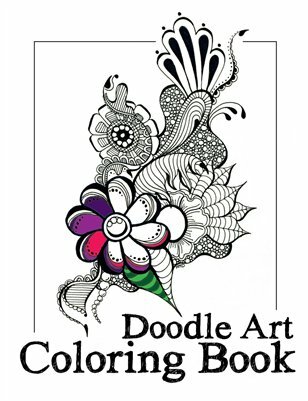 My Doodle Art Coloring Book is Finally Here! Please allow me to present to you my 40-design doodle art coloring book on heavy paper so markers won’t bleed through! I’m more than a little excited about seeing a bunch of my designs all put together like this. You will now see a permanent link in the navigation above so you can easily access the shopping cart. If you’d like to purchase higher quantities and save on shipping, please message me so I can work something out for you. Thank you in advance for your support! Over 40 hand-drawn doodles to color. This is not just for kids! Adults find coloring therapeutic. Available in print or as a digital download. I’ve added this doodle to my society6 account. It’s now available as prints, device cases, shirts, hoodies, pillows and more. If you’re not ready to buy, show me some love and click the little heart (promote) next to the images you love. If I get enough attention, I could get featured in their store. Thanks! Free shipping on doodle products through Sunday! Society6.com is offering free shipping on my doodle products through this Sunday. Head over and check it out. Buy doodle products and get free shipping through Sunday!